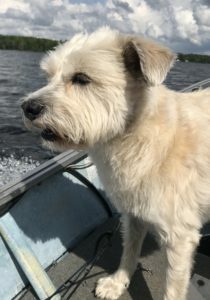 Additional Notes: Oli is a 30lb white terrier mix. He was last seen on the dykes at Wallbrook. He is tattooed, microchipped but not wearing his collar. He’s particular and doesn’t like other dogs.